Uncontested total legislative payload capacity. 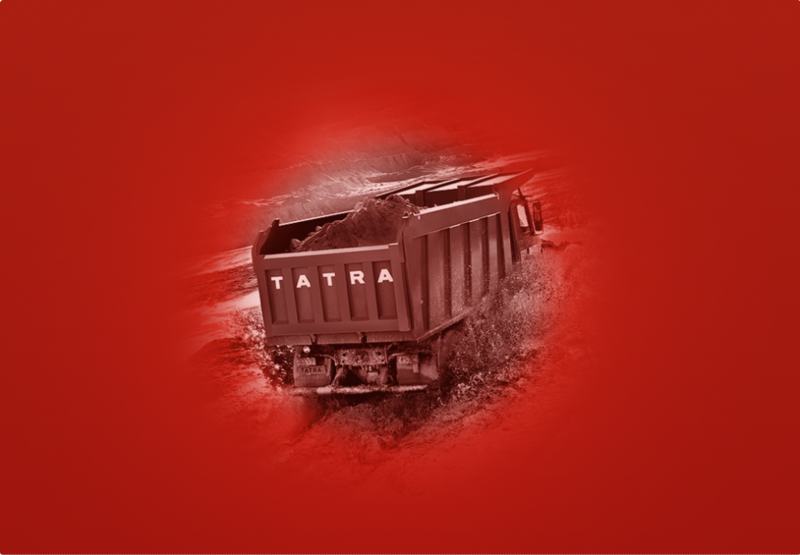 Where others sink, TATRA drives on. You can thus transport more material, faster, in any weather and in comfort..
TATRA trucks have unbeatable off-road performance, and on the road, they are competitive. Simply put, TATRAs drive excellently and comfortably. 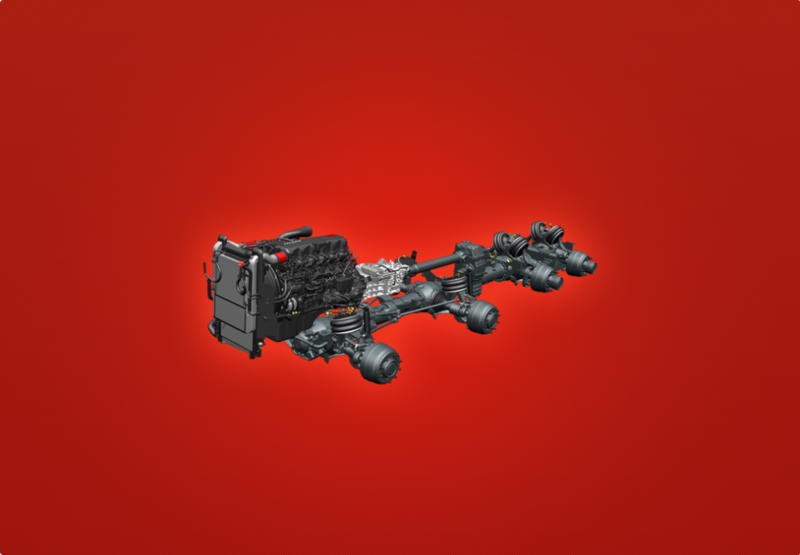 Lower breakdown rate and longer life for both the power train and superstructures. Lower rolling resistance and fuel consumption, reduced service outlays (no need to change expensive synthetic oil). 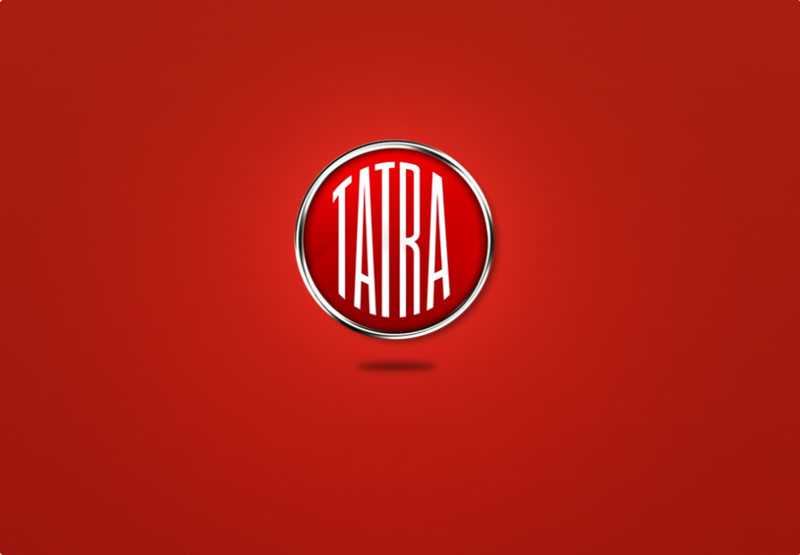 TATRA motors and those of partner manufacturers are precisely matched to the rest of the power train. Manual and automatic 10-, 14- and 16-speed transmissions. Significantly fewer vibrations are transmitted to the driver’s cab. You will feel the difference. The cabin offers plenty of space and a great many features that ensure maximum comfort for the driver. The higher lateral tilt of the chassis and stable position behind the wheel result in improved safety and a greater sense of security for the driver. Truly faster recovery of the driver after work, less illness and lower risk of an accident. Our long, uninterrupted manufacturing tradition is your assurance of quality and advanced technology. World-renowned technical innovations and unique design solutions. Victories in grueling races, endurance under extreme conditions in both the civil and defense sectors. Comprehensive offer of solutions based on monitoring and complying with customer needs and requirements. The main principle is the use of a central load-carrying tube and axles with independently suspended swinging half-axles bolted together into a single unit. 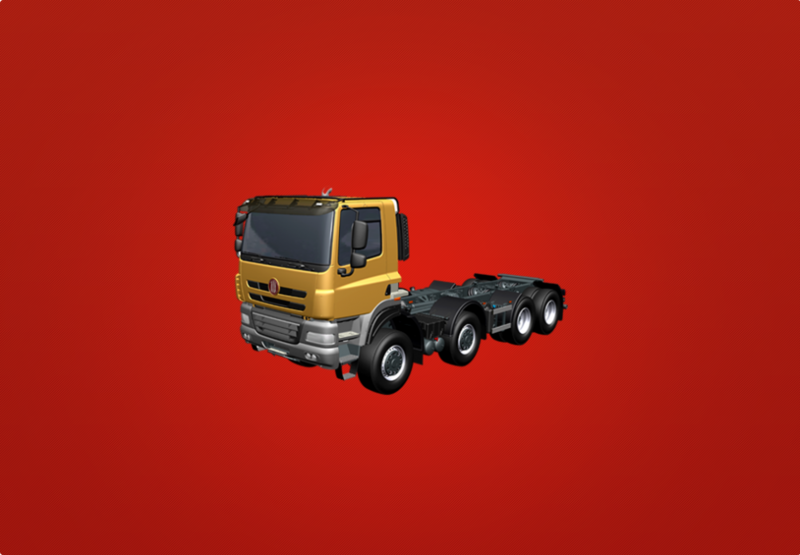 T 810 forms its own class of vehicles in terrain where no other vehicle design can be used. Among the unique technical solutions is a roller-bearing crankshaft bolted together from individual segments. The majority of trucks currently produced are equipped with TATRA cabs. Only the T 810 customer project, as well as its civilian applications, uses a modern three-seat cab produced abroad.